Today’s engineers are involved in a design process that incorporates feedback from other departments and customers throughout a product’s lifecycle. Often this requires shorter delivery times from bidding proposals through to manufacturing. They need to start new projects quickly and iterate through many design alternatives efficiently. Engineers struggle with these dynamics since current 3D modeling software requires a lot of pre-planning or “design intent” and can be very restrictive when it comes to making changes. Today there’s a 3D design collaboration tool that allows engineers to jumpstart new projects in minutes and make changes easily and quickly in response to co-worker and customer feedback. 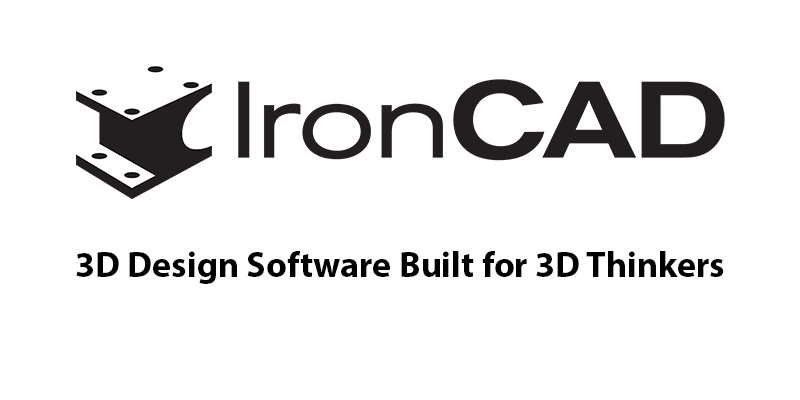 Built on fundamentally different assumptions than typical parametric 3D CAD programs, IronCAD is a powerful 3D design platform that empowers engineers to work freely and efficiently at every stage in the design process, from conceptual design to production planning. IronCAD’s core team of developers pioneered this technology back in 1998 — decades before the CAD market was ready to adopt it. Today other CAD systems are trying to catch up with our original vision for the future of 3D CAD using a piecemeal approach, however none can take advantage of IronCAD’s intuitive collaboration and time-saving features, which expedite everything from highly custom machinery to modular product design. Our Motto: Design the way you think. IronCAD lets you design the way you think, intuitively and powerfully. Drag & drop shapes, parts and assemblies from infinitely customizable catalogs, push & pull handles to make precise changes in seconds, create assemblies in one file, and easily move parts and assemblies. It’s a fundamentally better way to design in 3D. Get started with increasing your productivity by downloading IronCAD’s free trial version below! Contact us for guided assistance or to find a certified reseller in your area.